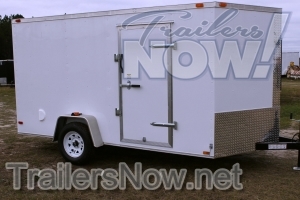 Searching for an cargo trailer for sale in Virginia? Look no further. Purchasing factory direct from Trailers Now Trailer Sales supplies you a superior product at a lower cost compared to other brand-new as well as used enclosed cargo trailers for sale in Virginia, along with a huge choice of sizes, colors and kinds of trailers to meet your requirements. 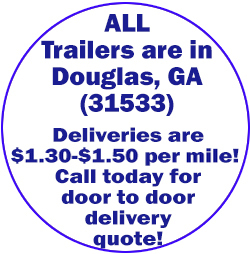 Schedule a delivery anywhere in the state of VA, or save yourself even more money and pick up your enclosed trailer from our factory location in Douglas, GA.
You also have the choice to customize a cargo trailer that fits your requirements if you opt to doing this. Our reliable enclosed trailers include a 5 year manufacturer’s guarantee, and they’re constructed with strong plywood interiors and a strong steel-tube frame. Unlike enclosed trailers with lightweight, pushed wood chip interiors, the enclosed trailer choices at Trailers Now Trailer Sales will last for several years to come– and they’ll never let the elements damage your valuable cargo.